You could always watch Hulu on your PC or Mac, or for that matter, on multiple other mobile devices. 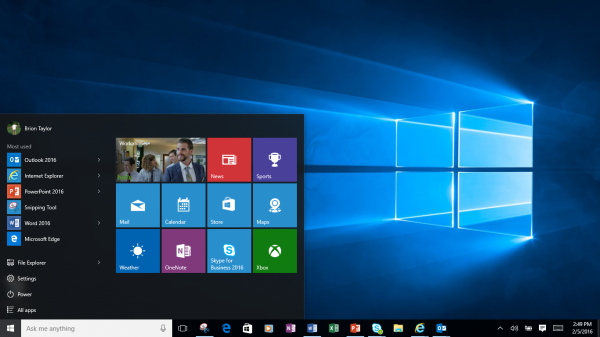 Now the streaming service wants to integrate much deeper, using Windows 10 as its launchpad. This doesn't mean it will cease to be accessible in all of the previous ways, it just adds one more option for customers of the service. This comes with a big extra, as Stephen King's 11.22.63 appears and will be available to Xbox One customers, including non-Hulu Plus users, for a limited time, running February 15th to the 21st. Right now, it's only episode one available for viewing, but it will be an eight-part series. There's some interesting integration in this also. Microsoft points out "Hulu's new app works beautifully with Windows 10 features like Cortana and Live Tiles and features an adaptive, responsive layout. The Hulu app on Windows 10 is the only version of Hulu available today that uses universal voice search through Cortana". An example of the integration would be something like say "Hey, Cortana. Play Hulu Sleepy Hollow". This also supports Live Tiles and can be pinned to your Start menu. This was created as an all new Universal App, and users can easily choose from the multitude of shows available from Hulu. No matter what your tastes are, you can likely find something to watch.